Cloud computing remains to be one of the most talked about technological innovation. Yet, it remains to be the most confusing concept for those who are new in the e-commerce field. Applications of cloud computing are now vital components of online businesses. Entrepreneurs are even trying to understand it in the simplest context. They are looking into the uses of cloud computing in daily life. Thus, discussions on the common uses of cloud computing help people better understand. They also talk about the role of cloud computing technology in the virtual market. Network – The network supports the many uses of cloud computing. 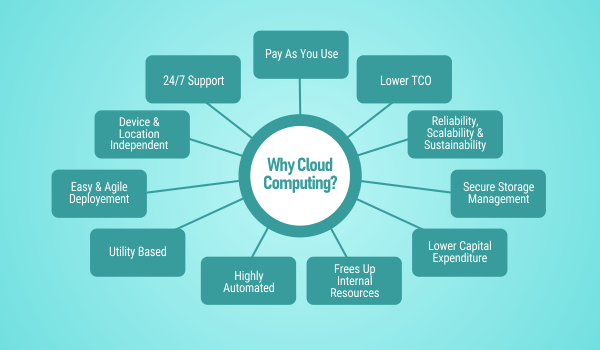 It provides connectivity among clients who use cloud computing technology. Also, it serves as the unifying system to keep everything manageable. Cloud hosting providers take care of managed services. The network is the Internet. This is also why cloud computing is accessible only thru the Internet. It serves as the invisible cable that connects all the servers. It provides cloud computing resources to its clients. Off-site Servers – Cloud computing technology made a leap in innovation. It provided a unique setup of computing resources. It uses different physical and virtual servers all over the globe. Cloud computing technology made virtual computing infrastructure possible. Thus, off-site servers provide computing resources. The most common uses of cloud computing need these resources. Also, virtual servers cross out the need for onsite servers to avail cloud services. This also made the services reliable and scalable. Many servers are ready to take on the task of computing in any case of downtime or hardware malfunction. Data Sharing – Data sharing provides mobility and accessibility. It also provides storage capacity for the uses of cloud computing. Cloud-based applications became part of the most common uses of cloud computing. This is due to the services that you can access anytime, anywhere. The cloud works as long as you have Internet connectivity. Thus, the uses of cloud computing and the data you uploaded onto the cloud are within your reach. Data is an essential component of any business. From statistics to customer information, data help businesses function. The storage uses of cloud computing are not only for accommodating the bulk of multimedia content. It is also for securing your content in case of any data loss. Taking your business online is taking the risk of malicious attacks. Also, you can lose your data in sudden hardware malfunction or disaster. Cases of data loss is not new in online businesses. So, make sure that you maximize one of the most essential uses of cloud computing. Always update your data backup to keep a secured copy of all information. This is crucial in keeping your business up and running. One of the uses of cloud computing that benefits businesses is its feature that allows mobile work. This allows any device with Internet connectivity to access and edit information regardless of time and place. Among the uses of cloud computing, this takes the work environment to the next level. Working from home became an option for jobs that can deliver results using cloud computing applications. Also, the real-time accessibility of data and the capacity for simultaneous access allowed work collaboration. People can edit information uploaded into the cloud at the same time and produce quality results in a short span of turnaround time. Businesses can easily draft growth plans for their e-commerce venture since cloud computing does not require up-front investment. 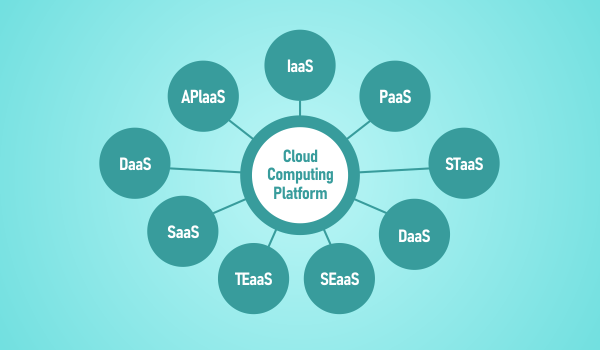 From infrastructure to IT management, everything is managed by cloud computing providers. The uses of cloud computing will provide any business the capacity to expand, produce quality products and services, and ensure a better performing business in the long run. Plans can easily be executed if the budget allows. Since cloud computing cut costs in many ways, growth plans are possibilities waiting to be realized. Among the uses of cloud computing, growth plan maximizes most of the features of cloud computing. These features include cost savings, ease of use, managed services and infrastructure, scalability, and automation.